We have had three Deaf Dialogue sessions so far – in which members of the Deaf and hard-of-hearing community come together to discuss issues pertaining to accessibility, education, employment and healthcare. You can download the Deaf Dialogue 2012 report here. SADeaf is proud to have partake in the 3rd Enabling Masterplan (2017-2021) & appreciate the acknowledgement in it’s latest publication. You may wish to download the full report with recommendations and proposed strategies by a 22-member Steering Committee comprising persons with disabilities, caregivers, leaders and professionals in the disability field, voluntary welfare organisations (VWOs) and government agencies. It’s still working in progress & at SADeaf. 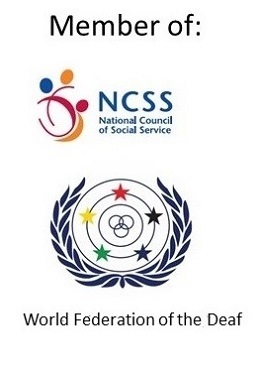 We will continue our efforts in advocating for our Deaf & Hard-of-hearing community by engaging the various stakeholders, including YOU – our valued members & clients! We look forward to your continual support/feedback so that we can make our collective voices louder! Let us strive towards a “Caring Nation, Inclusive Society”!